Matthew James, a 14-year-old boy in the UK, was born with a rare condition – his left arm stops at the wrist and he has no left hand. He had been fitted with a simple electric clamp of sorts that allowed him the freedom to pick up small objects but little else. Young Matthew is also a big fan of motorsports, and he went to the same school as Mercedes GP head Ross Brawn. 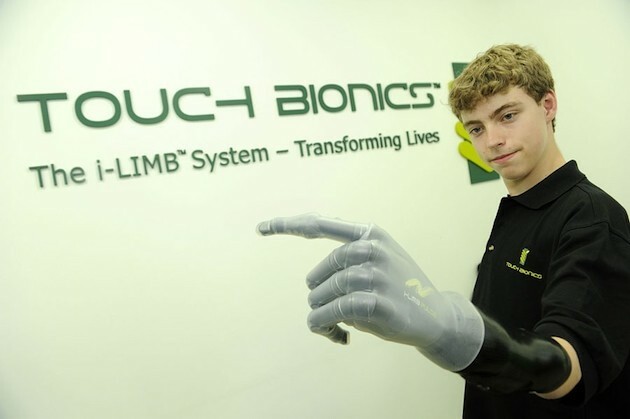 That connection was enough to pique Brawn's interest when Matthew wrote the team a letter asking them to consider gifting him a new i-LIMB Pulse bionic hand from Touch Bionics. Brawn took a personal interest in the young boy, and he contacted Touch Bionics to work out a deal. In exchange for access to technology services provided by Mercedes GP, Touch Bionics agreed to give Matthew the new hand he so desperately wanted. Oh, and the F1 team also got to put its logo on Matthew's new bionic hand. Not bad for a £35,000 investment... Check out video of the i-LIMB hand in action after the break.